Wireless battery powered pressure sensor and receiver system for connecting up to 5 pressure sensors without wires to a central wireless receiver which converts each received pressure signal channel to a 1-5Vdc or 4-20mA output. 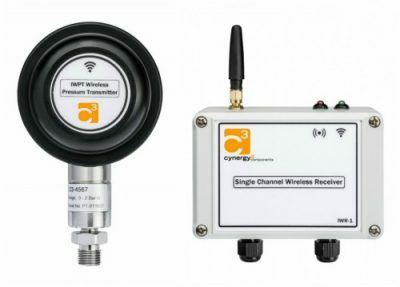 The IWPT wireless pressure sensor & receiver is a cost effective replacement to a traditionally wired pressure sensors that offers the advantages of a low-cost installation in inaccessible and expensive installation environments. The key benefit of wireless is to avoid long, tortuous or expensive cable runs over larger areas. 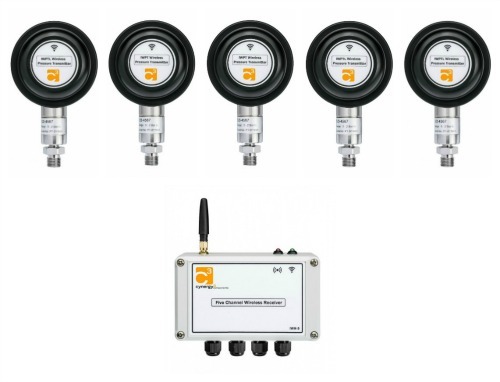 The battery powered wireless pressure sensors can have a range of up to 750m, and can communicate with either a single-channel or five-channel receivers for multi-measurement systems. Setting up the equipment is quick and easy to do, and free configuration software is available for more complex systems. 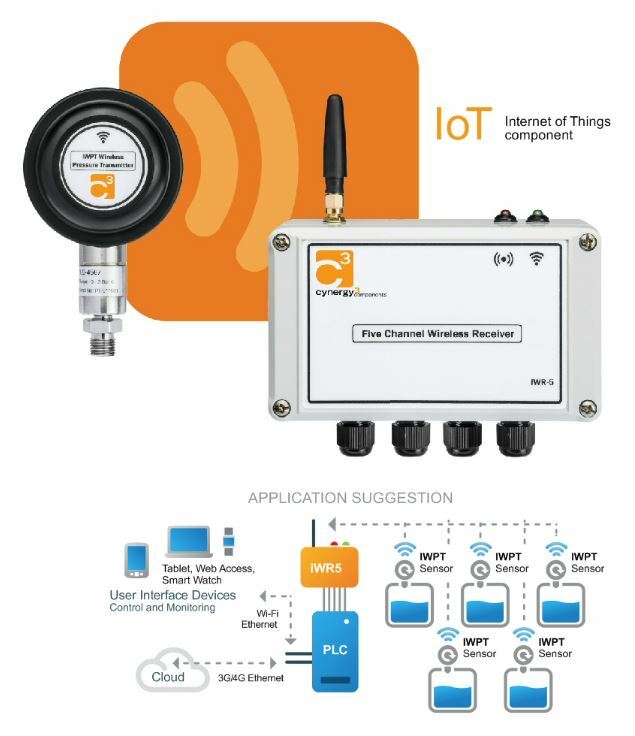 The pressure sensors are easily paired to the compatible IWR family of single or five channel wireless receivers thus offering a plug and play solution for your pressure measurement applications. The IWPT sensor should be used with either the IWR-1 or IWR-5 receiver. A line-of-sight range of up to 500m / 1650ft is possible or 750m / 2500ft max if used with the 3dBI antenna. Each device is temperature compensated, calibrated and supplied with a traceable serial number. A swivel adaptor is available which allows the head to be easily aligned to the IWR receiver. The higher pressure range IWPT (bar, 1/4bsp) & IWPTU (psi, 1/4npt ) wireless pressure sensor uses a piezo-resistive ceramic sensor module mounted within a 316 stainless steel housing giving excellent media compatibility for the harshest of applications. 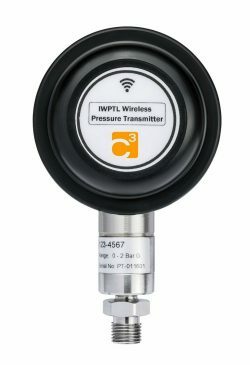 The lower pressure range IWPTL (bar,1/4bsp) & IWPTLU (psi, 1/4npt) wireless pressure sensor uses a piezo-resistive silicon sensor module mounted within a 316 stainless steel housing giving excellent media compatibility for the harshest of applications. 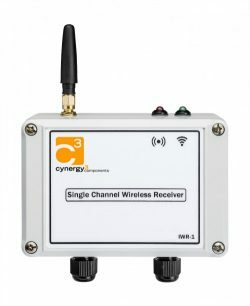 Each wireless receiver has a user selectable 1 to 5 volt dc or 4 to 20 milliamp analogue signal output corresponding to the calibrated pressure range of the remote wireless pressure sensor and 5 amp rated changeover contact for alarm functionality. With the standard 0dBI antenna, a line-of-sight range of up to 500m can be achieved and, using the optional 3dBI antenna, up to 750m (LOS) is achievable. User channel configuration is possible with the use of the program, IWR-Set, which ensures minimal user set-up time and thus ensures a simple solution to multi-channel pressure measurement applications. The IWR-1 is a single channel receiver designed to pair with the IWPT series of wireless pressure sensors to form a cost effective replacement of the traditional wired pressure transducer. In addition to user configuration software provided, the single channel transmitter/receiver combination is designed to work ‘out of the box’ offering a simple plug and play solution to pressure measurement applications. The IWR-5 is a five channel receiver designed to pair with the IWPT series of wireless pressure sensors to form a cost effective replacement of the traditional wired pressure transducer. What happens when 2 or more receivers are working in the same space, can you run more than 5 sensors close together without running into problems? Each Receiver can be given a different Pan_ID or Network address so only Transmitters with the same Pan_ID would be picked up by that receiver. This allows up to 16 receivers to be co-located without them interfering with each other. 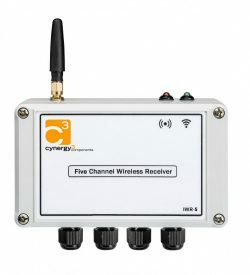 What wireless standard is used and what are the frequencies/protocol for each sensor channel? The system uses the ISM 2.4GHz band with up to 15 different RF channels available for selection. The protocol used is a custom protocol based on the MiWi Pro stack. How does the IWPT avoid interference from nearby WiFi access points? The frequency used by the system is located between the common WiFi channels used. What prevents the IWPT interfering with other wireless devices such as WiFi connections? The system deploys a ‘listen before send’ algorithm to ensure the transmissions fit alongside existing RF traffic. Each transmission only lasts a few mS so the affect of transmitters on the existing RF infrastructure is negligible. What is the minimum reading sample rate for one channel receiver and five channels? The quickest recommended transmission rate is 10 seconds although the system does allow for a rate of 1 second to be selected. Battery life at a 10 seconds transmission rate is more than 5 years. What is the maximum possible centripetal acceleration for using the IWPT on rotational equipment? The system hasn’t been tested for centripetal force, but has been used on applications such as rotating ovens for cooking chicken and also on rotating arms on waste water treatment plants when measuring effluent depth. Does the IWPT have a sleep mode to conserve battery life when the receiver is switched off? If the receiver is switched off the transmitter does still attempt to send messages but after a short time goes into a power saving mode. In this mode , although the transmitter continues to send transmissions it only sends them once every transmission interval. In standard mode it tries to send four times if no acknowledgement is received before giving up. How long does it take the receiver to retrieve pressure readings from power on? The receiver takes only approximately 1 second to boot up and is then ready to receive messages. The analogue and relay outputs then go to their required positions within 5 seconds of power up. Does the wireless system have an auto-zero function for setting all the sensor readings to zero when vented to ambient pressure? Both the transmitters and receivers can be user-calibrated and details on this are contained in the user manuals. The transmitter has a zero tare function which can be used to eliminate the effects of zero drift. 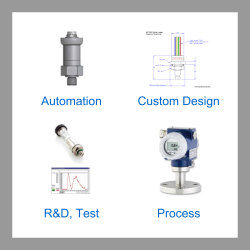 Please select the options you require for the IWPT Wireless Battery Powered Pressure Sensor and Receiver Signal Converter in your application and request a quote. Send us your enquiry for IWPT Wireless Battery Powered Pressure Sensor and Receiver Signal Converter to get assistance with this product type.